The university is located 20km south-west of Paris. 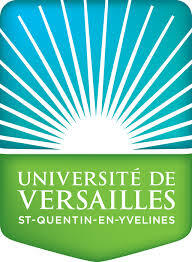 UVSQ is divided in 28 buildings, on 7 territories in Yvelines (78) department. 25500 users (19000 students) on 120000m² gross area. policy in France. All our guidelines and tools are implemented into degrees and trainings (e-learning). UVSQ has to major targets: to highlight its skills in sustainable development in France and worldwide, and to strengthen its local assets inside the exceptional context of the Urban Living Lab Versailles Saint-Quentin-en-Yvelines. – Decrease the campus carbon impact (linked with CPPE project from UVSQ 100000m² gross area, 17000 users. Targets of the CPPE : in 2 years time, -33% heating consumption, -11% electricity, -19% water consumption, 1600m² of PV). The idea is that from our experience and feedback (each year for 4yeras now, Fondaterra is organizing a student contest on how to get better ICT use on campuses for sustainable development). Since it began, (3 years, 4th still ongoing), we have already helped 4 SMEs creation. Moreover, from these actions and the challenge GreenTIC Campus, we have the support of campuses at national scale and one innovative issue would be to extend challenge across Europe with Fondaterra’s help in order to impulse innovation through campuses on specific themes.